Sebastian Aho broke a second-period tie with a short-handed goal as the Carolina Hurricanes defeated the visiting St. Louis Blues 5-2 Friday at Raleigh, N.C., in a matchup of hot NHL teams. Justin Williams, Justin Faulk, Jordan Staal and Andrei Svechnikov also scored for the Hurricanes. Staal's goal was his first since Nov. 2. He has played three games since returning to active status after missing about two months due to a concussion. Svechnikov scored into an empty net with 61 seconds to play, sealing the Hurricanes' fourth win in a row and 10th in the past 12 games. Nino Niederreiter, Teuvo Teravainen and Brett Pesce supplied two assists apiece for Carolina. Oskar Sundqvist and Vince Dunn scored for St. Louis. The Blues went 12-1-1 in February, but they have experienced a recent dip in offensive production. They've gone five straight games without scoring more than two goals, and they are 2-2-1 in that span. 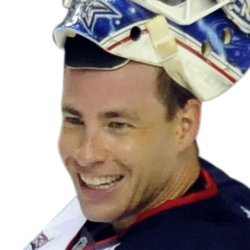 Carolina goalie Curtis McElhinney made 21 saves. 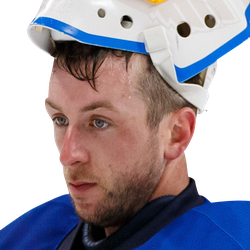 Blues goalie Jake Allen stopped 19 shots. Sundqvist had gone 13 games without a goal before opening the scoring less than seven minutes into the game. Williams tied the score with his 18th goal of the season at 7:40 of the first period. Slightly more than three minutes later, Faulk gave Carolina its first lead. Faulk exited the Hurricanes' previous game with an upper-body injury Tuesday night, but he was back in the lineup. He has scored a goal in three of the past four games, giving him a total of eight this season. He added an assist on the empty-net goal. Dunn scored the tying goal for the Blues by sending the puck through traffic just 2:13 into the second period. That came on one of only three second-period shots on goal for the Blues. Aho's short-handed goal came on a wrap-around attempt on Allen, who wasn't able to recover in time. Aho has goals in consecutive games. Staal increased the lead to 4-2 at 10:44 of the third period.